There is an element of tragedy inherent in all ghost stories. Most of them feature a specter who suffered an unhappy life before dying angry. Their backstory is usually used as an excuse for creepy sounds in the night, jump scares and gore. 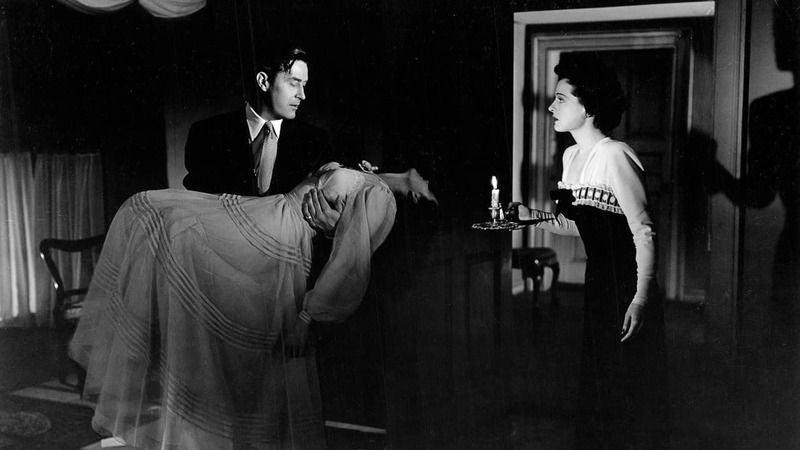 The 1944 black and white haunted house drama The Uninvited takes its ghost very seriously. It creates a mood of sadness and fear as its characters try to untangle the mysteries of the present by uncovering the secrets of the past. Since it was made during the heyday of the Hollywood Production Code, there is no blood, making the threat mostly of the psychological variety. Yet it is one of the best ghost stories of all-time thanks to a skillful balancing of tones and a focus on character as opposed to theatrics. The movie is about a brother and sister, vacationing on the Irish coast, who stumble upon a vacant mansion and immediately decide they must buy it. They soon become involved with the family they bought it from and the horrible events that occurred decades earlier. The Uninvited does not start off creepy. The tone is actually closer to that of a light screwball comedy. The protagonist, Roderick, sees the humor in everything. The music attempts to follow his lead at first, keeping things bouncy and fun. But director Lewis Allen makes sure his audience gets glimpses of the danger lurking under the surface. Despite the warnings they get from locals, it takes Roderick and his sister, Pamela, time before they begin acting like characters in a scary story. However, Allen is always reminding viewers of the past and hinting at the future with ominous shots of the house and, most significantly, the deadly cliffs overlooking the water. One of the more impressive aspects of a haunted house movie is typically its central location. Allen does not linger on the physical details of Windward House. It is not the look of it that is interesting, but the feel. Visually, it is nothing special. What gives it its power is how characters react to specific rooms and the way they describe the effect it has on them. 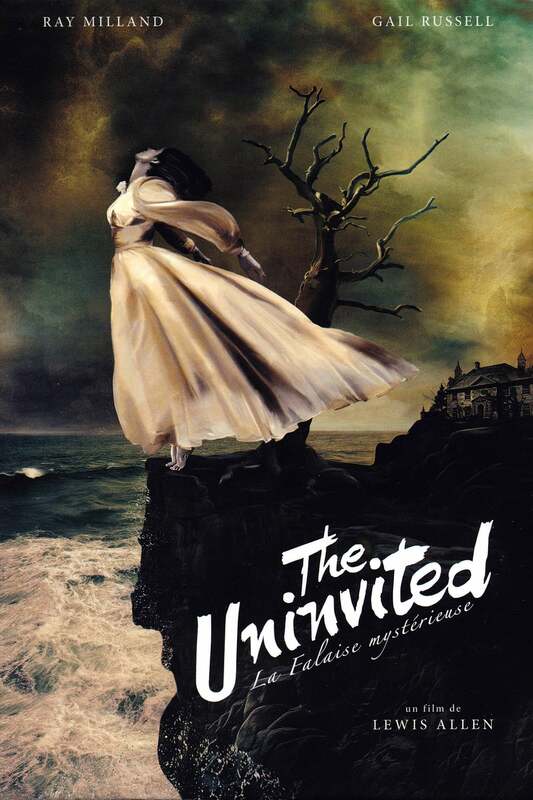 In that sense, The Uninvited is more literary than cinematic (it is based on the 1941 novel Uneasy Freehold, by Irish author Dorothy Macardle, which was published in the United States as The Uninvited). Somehow, that actually helps the atmosphere of dread, instead of detracting from it. The general philosophy when it comes to the cinema is do not tell when you can show. But hearing people discuss how being in Windward House makes them feel is more effective when you consider the limitations put on the studios by the rules of the time period. They get across the main concept about as well as could be expected. They were able to establish a somber mood for the house that sets it apart from the other locations. On top of the verbal explanations, Allen also uses traditional methods of implying a presence. Animals that refuse to go upstairs, strange noises or smells that do not appear to have a logical place of origin and inanimate objects behaving on their own are staples of this genre and they are all put to use here. 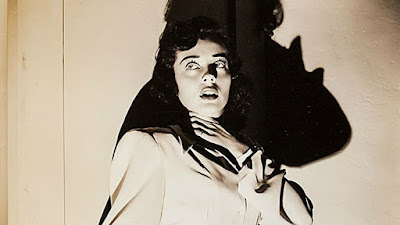 When The Uninvited is in or around Windward House it feels like an early 40s horror movie. Allen successfully juggles that tone with a slightly amused one, until the Fitzgerald’s begin to suspect the rumors about their new home are more than idle gossip. You know things just got real once Roderick stops making jokes. The Uninvited is 74 years old, so there are bound to be parts of the production that now come off as a little dated. Some of the relationships, especially the one between Roderick and the twenty year-old granddaughter of the house’s former owner, would probably look a lot different if this were made today. Additionally, the visual effects are certainly much tamer than what we get in modern ghost stories. But this is not some cheesy monster movie. The techniques used to suggest what is happening in that house contribute a dreamlike quality to the story, or a nightmarish sense of menace, depending on what is needed. Though the kind of subtlety on display here does not always work, it is useful for preserving the mystery and stopping things from getting too dark. The Uninvited is not a horror movie in the way that it is generally defined today. The emphasis is on plot and character over blood and gore. Sometimes that can be a good thing. Here the story is compelling and the personalities are entertaining enough for it to succeed. For those who prefer their ghost stories to lean toward fun instead of terrifying, this is a classic Hollywood production that is most definitely worth a look.